Make something unique for your phone with this wooden custom Galaxy S8 Plus case! Upload your favorite moment with a picture and we will print it for you. Your custom Galaxy S8 Plus case is made by you. Have you ever had a wooden custom Galaxy S8 Plus case? Well, now you can! GoCustomized offers a wide range of custom phone cases and our wooden case is one of our favorites. Printed using UV technology, you can make it however you want, making it a truly unique case made out of wood. Think of your favorite quote or memory and upload the picture. We will create your very own custom phone case. Alternatively, create a design or use your company logo, the choice is yours! Our wooden custom cases are handmade and carefully cut from the best bamboo. What are you waiting for? 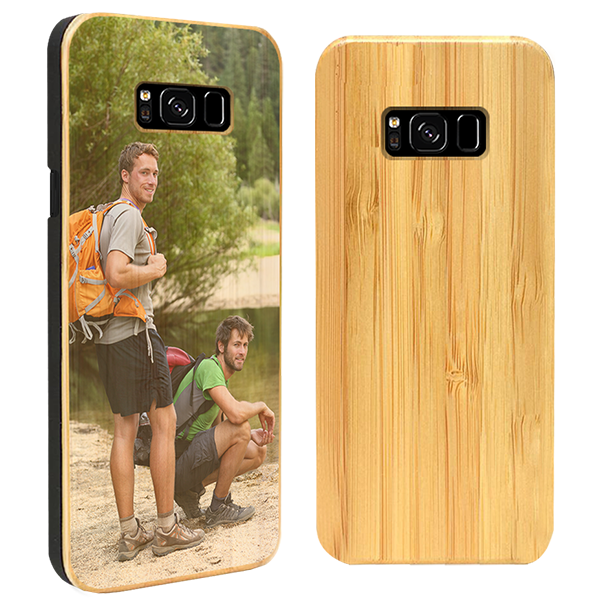 Get started designing your own bamboo phone case today! Creating your own custom Samsung Galaxy S8 Plus case has never been easier. You only have to choose your picture or design and upload to our user-friendly customizer on the website. Here you can ensure that the design is correctly placed on the case and can even make it more personal by adding text using a variety of fonts. 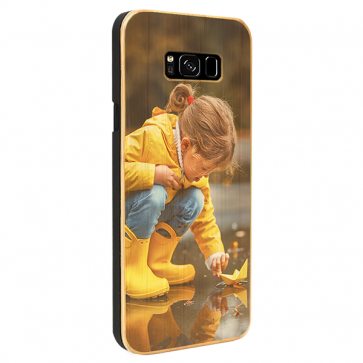 We also offer a range of premade designs for you to choose from to print onto our custom phone cases if you want some inspiration. Whatever you like, we can print it. How long does it take for your custom Samsung Galaxy S8 Plus case to be delivered? Our personalized phone cases take, on average, 5-7 working days to be delivered. We make sure that your custom Galaxy S8 Plus case is produced, printed correctly, packed and on its way to you within 24 hours of purchase. If you have questions regarding your wooden Galaxy S8 Plus case or the shipment of your case, please check our FAQ page or contact our support team. We are more than happy to help you with any of your questions. Get ready and start designing your custom Galaxy S8 Plus case!